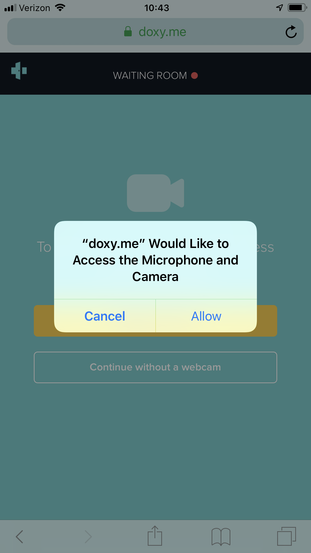 To have a call on iOS devices, you need to provide access to your webcam and microphone. Safari requires you answer this each time. Make sure your camera works with Facetime. 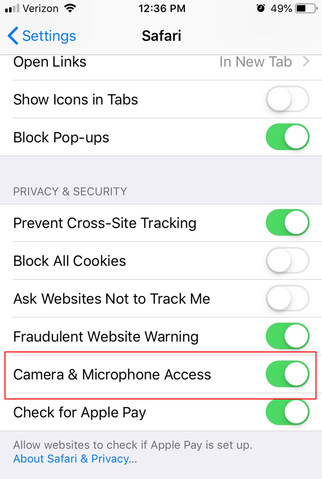 If you are still experiencing issues with your camera and microphone, you may need to check your Camera & Microphone Access in your Settings.